I've been a terrible blogger as of late, but I have an excuse... 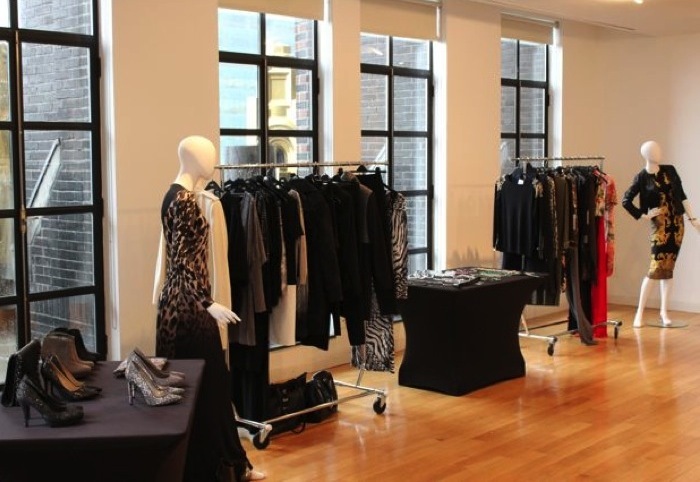 I was in New York working on the Wallis Autumn/Winter 2013 preview! Wondering what I wore? Head over to my Facebook page to get a peak. The event took place at the Bryant Park Hotel last Thursday and previewed Wallis' collections of clothing, shoes, handbags and jewelry. For those of you that want immediate retail gratification, check out Wallis' current spring/summer offerings online here. Wallis ia a popular British high street brand, and although they opened in 1923 and now have over 100 retail locations in the UK, they just launched their e-commerce site in the states last winter. Known for well made, on-trend clothing at an amazing value, their first autumn/winter collection available in the US is filled with smart separates, figure flattering dresses and must-have outerwear. 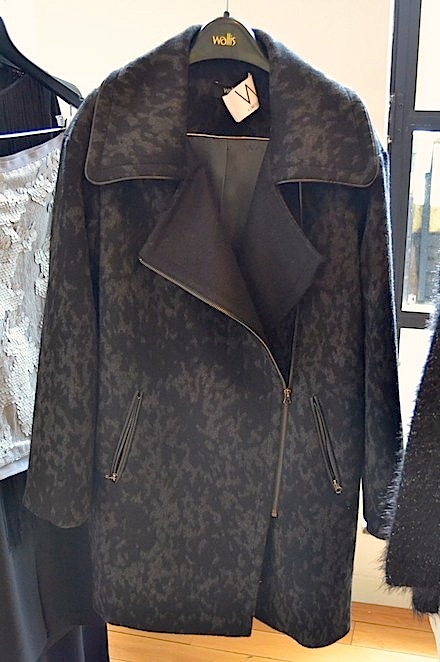 My favorite item of the entire collection has to be this coat, and it will be MINE!!! It reminds me of a warmer (more affordable) version of the 3.1 Phillip Lim 'Spot Pony' moto jacket that I'm lusting after. 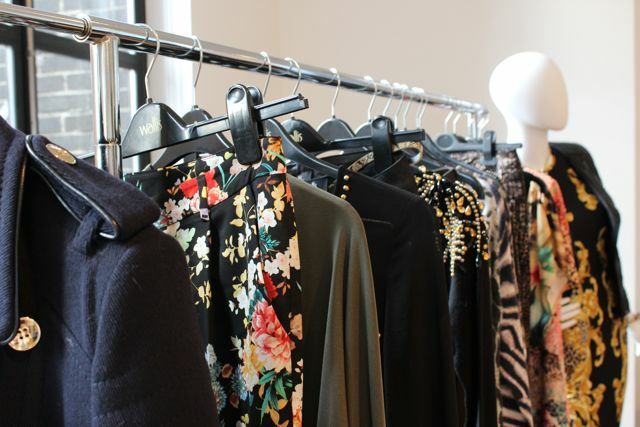 From feathers to cityscapes, standout yet wearable prints are abundant in Wallis'collections. One of the great things about Wallis is that they have an in-house print maker, so the fabulous patterns in their collections are exclusive to them. 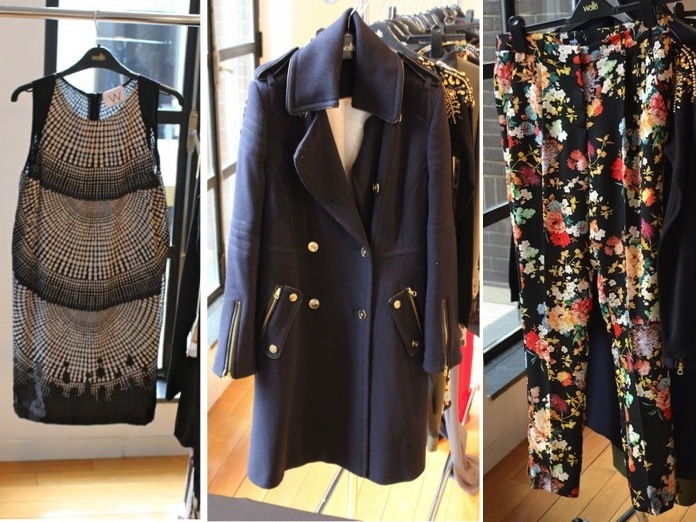 A few pieces sure to tug at shopper's hearts: a graphic shift dress perfect for day to night dressing, the ultimate military coat and flattering floral pants to add a little pizzaz to the cold months. Sleek, neutral colors go glam. Wallis' ombre animal print jersey maxi dress is absolutely stunning in person. I would wear it with a leather moto jacket and booties but it could also easily be paired with pumps and a chignon for an evening event. Slimming black pants should be in every woman's wardrobe and Wallis also showed easy to wear classic sweaters with a little edge (shoulder and back detailing). And of course, why stop at clothing?! Shoes and bags and more were also on display. Wallis' oversized leather clutch with chain detailing will be on my arm as soon as it is available. Booties with metal detailing on the heels and Isabel Marant inspired pumps were a couple of editors' favorite accessories. OK, everything is just beyond fabulous. I think I need that coat! Love all of this! I know it's just spring, but fall fashion is always fun to look forward to! Thanks for officially making me obsessed with Wallis. I need that coat too, oh, and those studded pumps would be fab--k, thanks! This collection is absolutely amazing! I love the floor length dress and the black coat! Nice collection, and I love the jacket, too. Gorgeous. You lucky girl! Sounds like a blast and that camo-ish jacket is to DIE! How fun!! I love that coat too and those pumps in the last picture! They are amazing!! Wallis really has the best collection.....I just posted my 2nd dress from them, hope you could check it out Chelsea!!! !